Sidney Poitier is one of the most revered actors in the history of Hollywood. He has overcome enormous obstacles in extraordinary times and is a role model for many Americans because of his convictions, bravery, and grace. 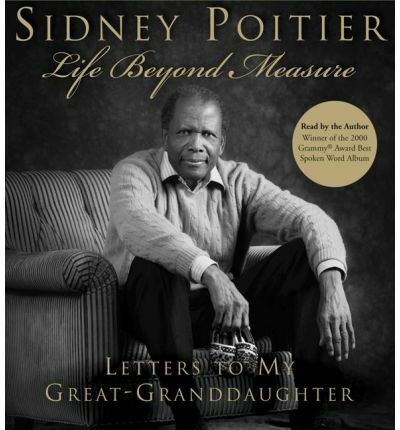 Poitier reflects on his amazing life in "Life Beyond Measure," offering inspirational advice and personal stories in the form of extended letters to his great-granddaughter. Writing for all who admire his example and who search for wisdom only a man of great experience can offer, this American icon shares his thoughts on love, faith, courage, and the future. Poitier draws upon the perspective and wisdom gained from his memories as a poor boy in the Bahamas, his experience of racism coming to the United States, falling in love and raising a family, breaking the race barrier in theater and film during the Civil Rights Era, achieving stardom and success in Hollywood, and being a diplomat and humanitarian. He reflects on the deepest questions and the significant passages of his life, the virtues that helped him through tough times, and the sense of purpose and history that strengthened him. He emphasizes the importance of the role of faith in a technological age, as well as our responsibility to the earth and future generations. Throughout, Poitier shares stories about the people of courage he has met along the way and the meaning of life in the face of death. "Life Beyond Measure" is the perfect book to inspire readers to live the fullest life with integrity, from one of our most respected celebrities and a national treasure. About the Author: Sidney Poitier was the first black actor to win the Academy Award for best actor for his outstanding performance in Lilies of the Field in 1963. His landmark films include The Defiant Ones, A Patch of Blue, Guess Who's Coming to Dinner, and To Sir, With Love. He has starred in over forty films, directed nine, and written four. He is the author of two autobiographies: This Life and the "Oprah's Book Club" pick and New York Times bestseller The Measure of a Man. Among many other accolades, Poitier has been awarded the Screen Actors Guild's highest honor, the Life Achievement Award, for an outstanding career and humanitarian accomplishment. He is married, has six daughters, four grandchildren, and one great-granddaughter.